Our family loves anything mint, and Oreos. MINT Oreos are an item that disappear the day I bring them home. With St. Patricks Day around the corner, we thought long and hard about something fun to do with these Mint Oreos everyone loves so much. These truffles are easy, fun to make and addictive. 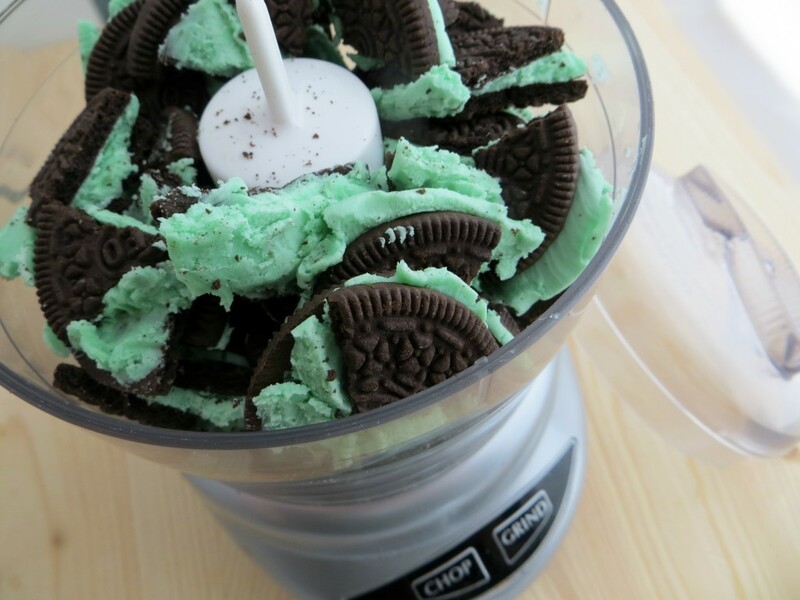 Process the Oreos (entire cookie including filling) in a food processor or blender. Pulse until crumbs are formed. 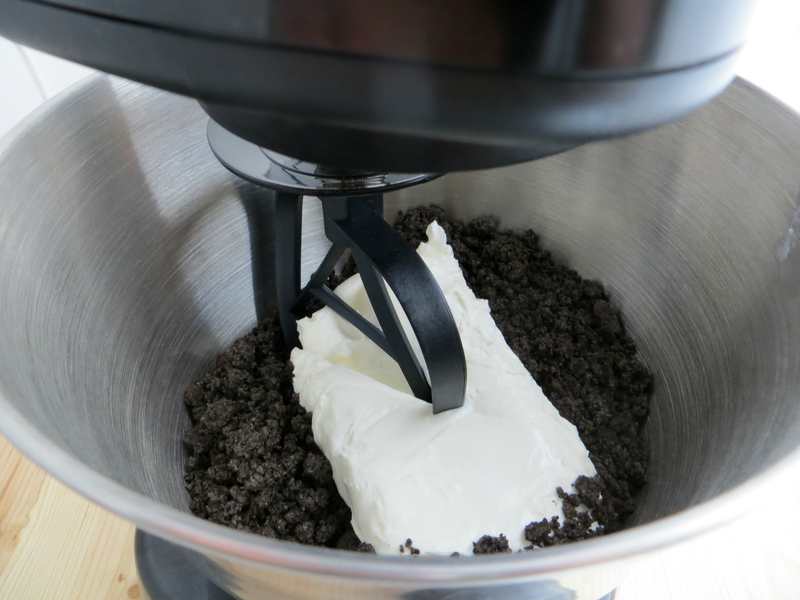 Using a hand-held or stand mixer fitted with a paddle attachment, beat the Oreo crumbs with cream cheese until combined. The mixture will be thick and sticky. Using your hands, roll into 30-35 balls. 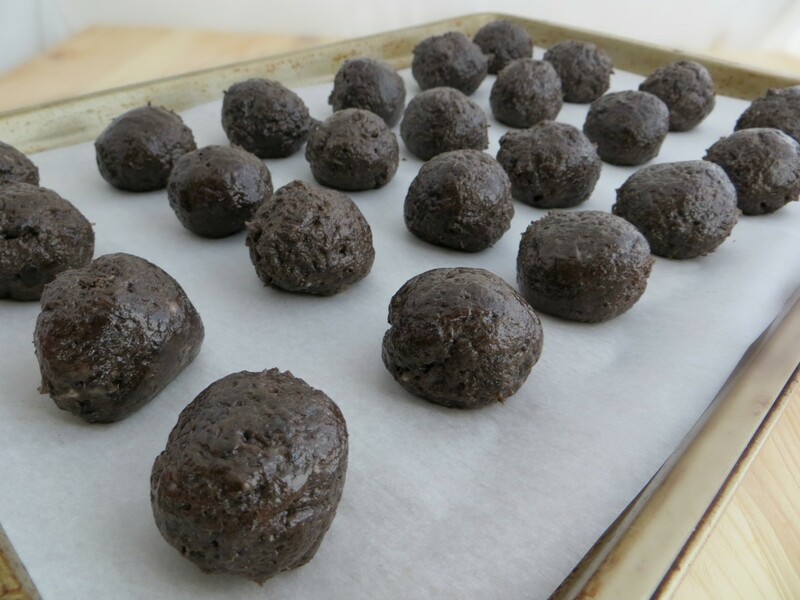 Place balls on a parchment paper lined backing sheet or a silicone mat-lined baking sheet. Freeze the truffles for at least 30 minutes. If they are not cold and solid, the melted chocolate will not coat the balls properly. Melt the chocolate in a bowl as directed on packaging. Working with one truffle at a time, completely coat the outside of each ball. To do this, simply drop a truffle into the chocolate, swirl it around with a fork and then pick it up using the fork’s prongs. Tap the fork on the edge of the bowl to allow the excess coating to drip off, and place on lined baking sheet. 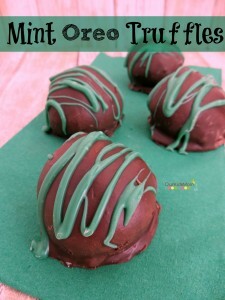 *If using green candy melts, coat truffle and immediately add sprinkles before coating dries. Also use to drizzle on top of chocolate coated truffles. Refrigerate the truffles for at least 10 minutes so the chocolate sets. Truffles must always be chilled and will stay fresh for up to 5 days in the refrigerator. 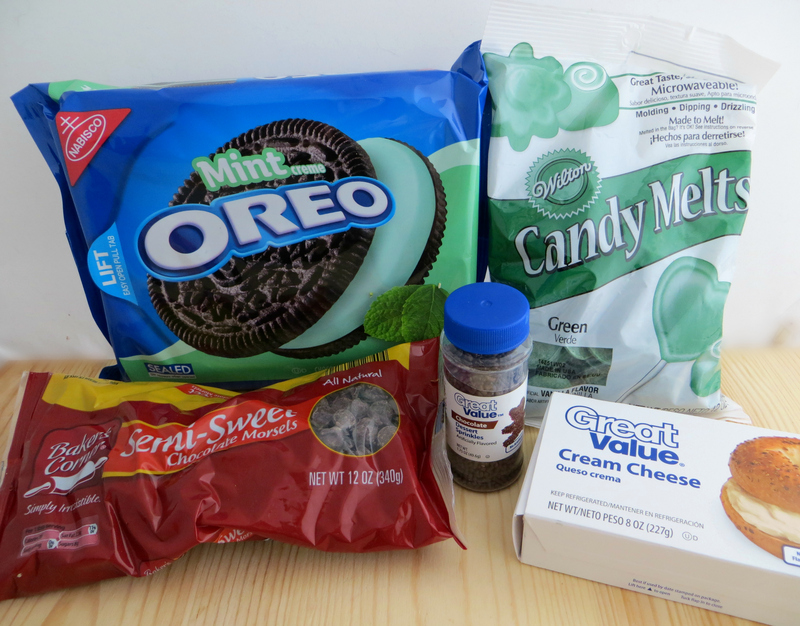 Do you have a recipe you like to use Mint Oreos in? Tell us about it! They might have a standing life of 5 days in the fridge, but they wouldn’t be around that long. YUM!!! I’ve been wanting to give making truffles a try, I see recipes for them a lot. My family loves chocolate and mint too so these are ones I would really like to make. These truffles look so fancy, you’d never know how easy and simple to make! And boy do they look good!!! A winning recipe I’d like to try making! These truffles look so divine. My family would certainly love these. This recipe looked so good, I copied it down. I am due to make this tomorrow. I thank you for the share. Holy cow, these look amazing… I’m afraid I’d every single one of them before giving my family a chance to try them. 😉 Thanks for sharing! This looks so easy to make. I would love to try it and see how it tastes. I would say mint is my favorite flavor of sweets so this is good. I love chocolate and mint! These truffles look amazing! I could eat like 5-6 of these, if not more. Yum! Mint and chocolate is one of my favorite combinations.